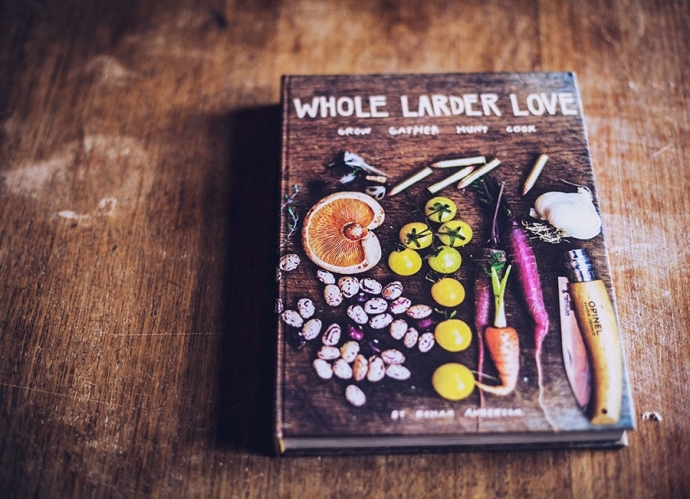 Whole Larder Love, a book by Australian DIY-er Rohan Anderson. Author Rohan Anderson came out with his first how-to manual and cookbook last year, Whole Larder Love, based on his blog in which he documents his modern-day hunting and gathering lifestyle through skillful photography and personal experiences in sustainability and green living. Anderson now lives entirely off the land with his family just outside the historical rural town of Ballarat in Australia.